When designing your UX test, you have the option to add an Exit Question—this is a question that your users will be asked following the completion of their tasks. Exit questions can be used to gather survey-style responses from your participants, or collect data such as Net Promoter Score (NPS) or Web Usability Scale (WUS). This is selected by default, and means (yeah, you guessed it!) that your test participants wil not be asked an exit question at the end of their test. The Web Usability Scale (WUS) is a Likert scale-based questionnaire (based on the System Usability Scale) used to grade the usability of websites. Users complete a short questionnaire about their experience with your site, and we calculate the WUS score from that. The score is out of 100 and a score of 100 indicates best usability. Some studies have shown websites average a WUS score of 72. You can use individual WUS scores to prioritise which test videos to watch first—those with the lowest scores are likely to reveal the biggest problems. The Net Promoter Score (NPS) is derived from users answers to the question: "How likely is it that you would recommend this site to a friend or colleague?" Users are presented with a scale of 0 to 10 to select from. 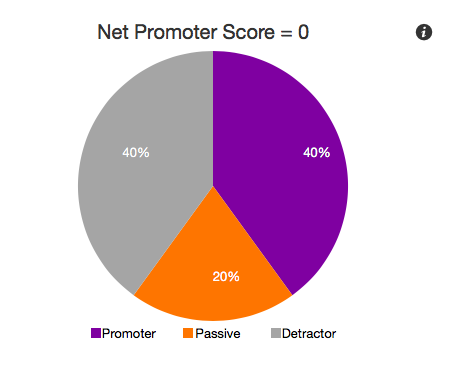 The Net Promoter Score is the difference between the percentage of Promoters (respondents giving 9 - 10) and Detractors (respondents giving 0 - 6). Your test results pages will give you both your overall calculated NPS as well as the individual scores your users gave as their exit question. You can read more about NPS here. 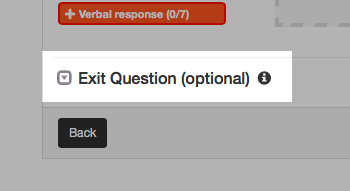 If you select the final option, you'll be able to enter a freeform question of your own choice to ask your users. As with the other options, they will be presented with this final question following the successful completion of the test tasks.